Paddle boarding is an amazing sport which benefits are endless. 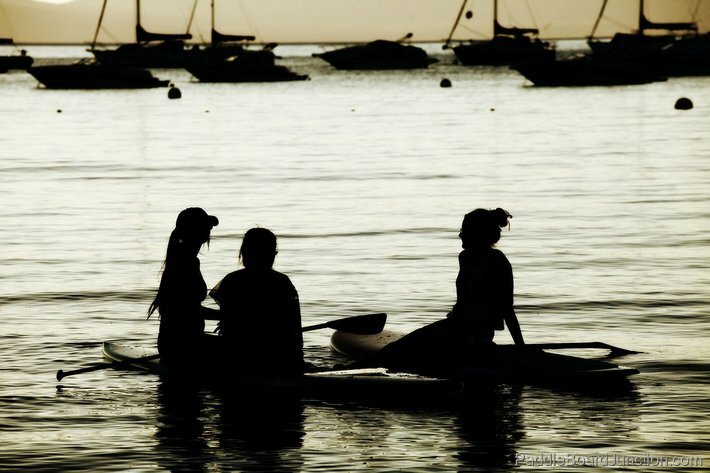 From family outings to fitness training there really is something for everyone out on the water! But storing and transporting your paddle board can be a challenge. Having a whole family’s worth of stand up paddle boards makes storing and moving around your SUPs even trickier. 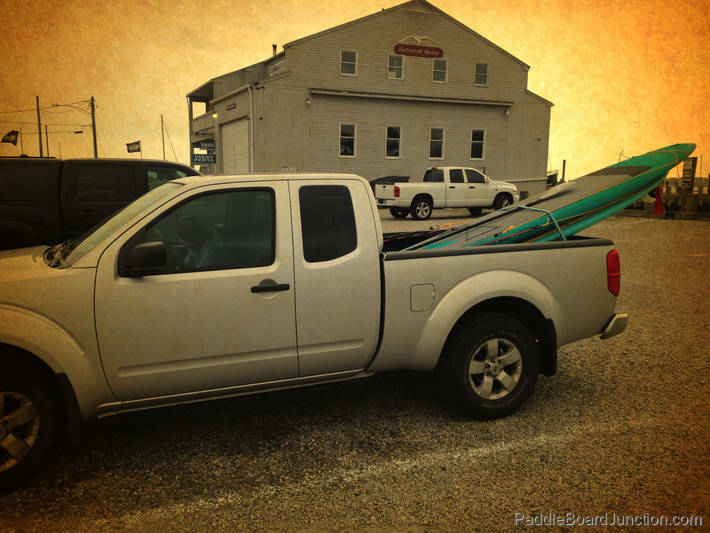 Zoe and I have assembled some helpful information for stowing and towing your boards! Forget automobile-racks and fancy carts. Before you get into anything fancy you ought to know how to carry your stand up paddle board with your own hand! 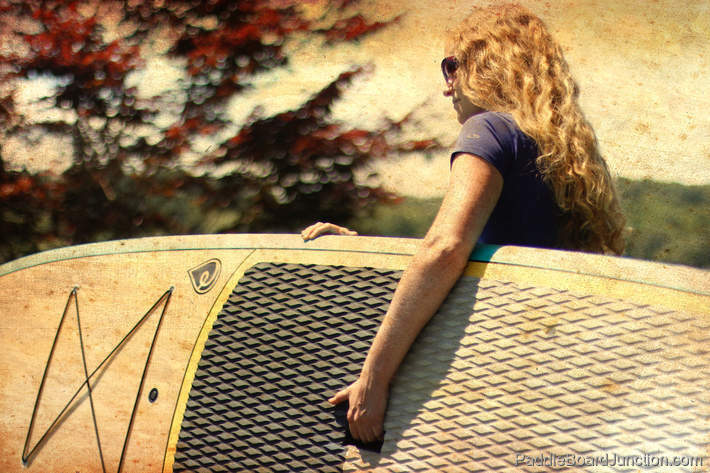 Check out these recommended ways of transporting your paddle board. You can’t drive your car into the ocean… you’re going to have to carry your SUP at some point! Want to roll your board from place to place. Here’s an extensive list of paddle board carts, trailers & dollies. Each make transporting your board way easier than simply using the built in handle and some of these carts even allow you to tow your paddle board from your bicycle! Let’s make it even easier for you… Here’s some of the best paddle board carts to choose from. Some of these can event move more than one board at a time! Unless you are fortunate enough to live directly on a large body of water you will have to figure out how you are going to transport your paddle board by automobile. If you have an iSUP its easy because they can be deflated and packed inside your car. Rigid boards, on the other hand, require some special treatment. You had better learn now how to carry your paddle board on your car so you can go explore some other bodies of water, not just your ocean front property that you haven’t invited me to yet… wink wink! 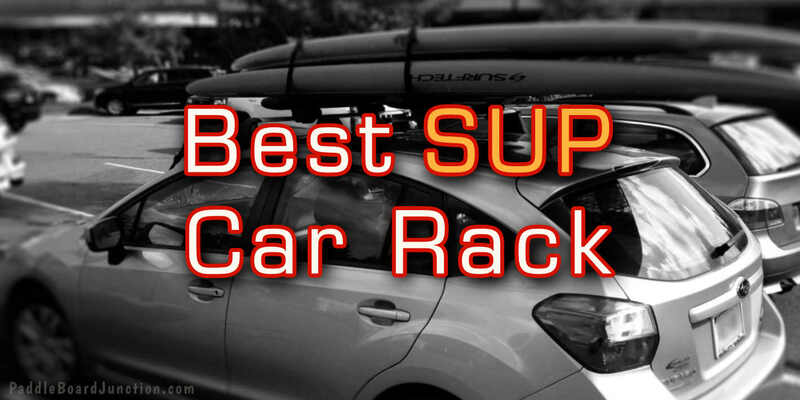 ***NEW*** Read our 2019 Guide to picking a paddle board roof rack! Or maybe you are just getting into the sport and don’t want to invest in a SUP carrier type of roof rack system? There are other ways to transport your paddle board without a roof rack. Sometimes you just need to get creative about it. 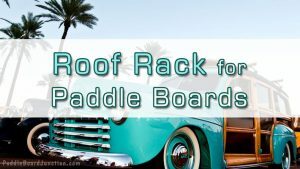 There is a happy medium between a DIY car rack and a full-blown paddle board rack ($$$)… There are these nifty items called soft racks and they are ultra portable. They only stay on your car while you are transporting your SUP. But if you are getting serious about the sport you should probably just invest in one of these rigid roof racks. I have a mid-sized pickup truck so I actually have a bunch of options for transporting both mine and my wife’s paddle board around. It really comes down to how serious you are about the sport, how often you travel with your boards and whether or not you want to store more than just your SUPs in the back of your truck. If you want some superb and surprisingly inexpensive options for transporting your paddle board by truck check out this article on SUP truck racks. You can also get clever, like I did with this DIY method of hauling a couple of paddle boards in the back of my pickup truck. 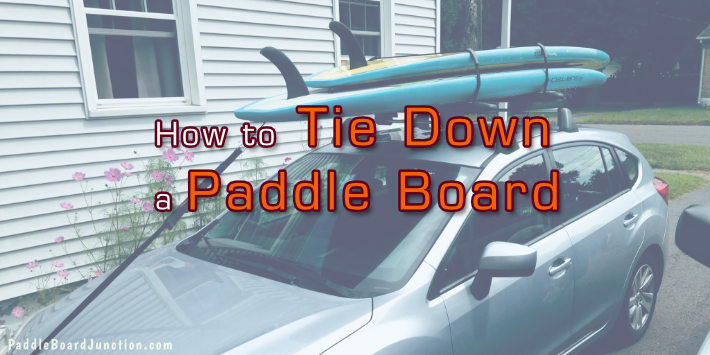 No matter what system you have to support your board on top of your roof or truck you should follow some basic safety advice for how to tie down your board properly. A little know-how in this department will keep everyone safe and avoid any damage to your board do to improper tie-downs. Storing an inflatable paddle board is simple. They easily deflate and take up about as much space as a large back-pack. But sometimes you don’t want to deflate your paddle board. You might want to hang it up somewhere if you are going to use it again in a few hours. And what about a solid board? Solid paddle boards can weight 25 to 45 pounds and easily measure in at over 10 feet long! Knowing just how expensive they are and how fragile a fiber-glass or epoxy board can be you will be glad to get your boards out of the way for both convenience and the safety of the board! 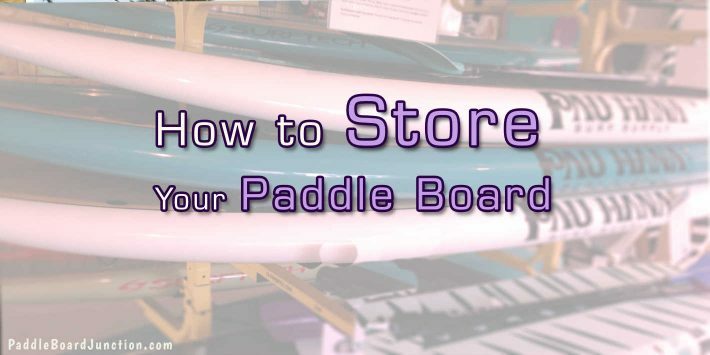 There are all kinds of places and methods of storing paddle boards. 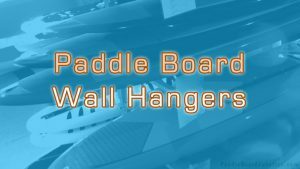 From ceiling mounts to wall racks, heck you can even get paddle board boat racks!